Get to know structural screws: They're the quicker, easier fastener alternative in heavy-duty applications that don't require lag bolts. 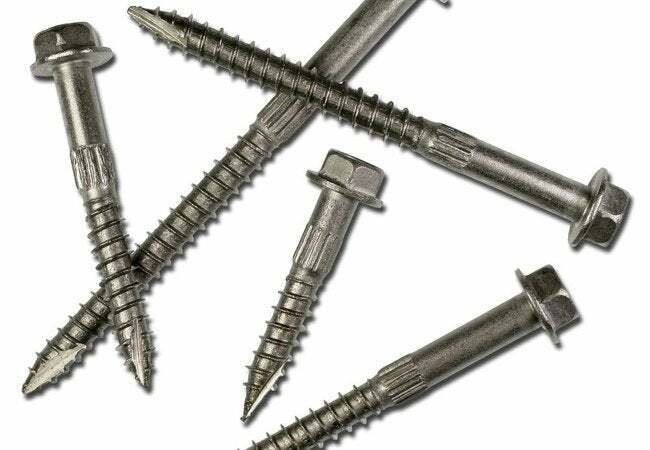 If you need to securely fasten boards together—for framing or other heavy-duty applications—you might want to check out structural screws. Structural screws are a relatively new fastener option that’s been getting a lot of good reviews, and for good reason. Though they’re much thinner than lag bolts, they’re made of hardened steel and are extremely sharp. That makes them easier to drive with a drill—no pilot holes needed. Their design also virtually eliminates any chance of shear-offs. A number of manufacturers produce structural screws, and each makes a different. Some brands actually embed a special drill bit into the points of the screws, which helps the fasteners bite through wood dust and shavings. Other brands have rippled threads near the tip of the screw; these create a path for the remaining threads, allowing a strong hold. Structural screws are not cheap. They usually run about three times the cost of lag screws. But if you figure in the time you’d have to spend pre-drilling holes for lag bolts, then ratcheting them all the way in, the extra cost of structural screws isn’t a bad deal.